Global investment in energy supplies dipped slightly last year — the third annual decline amid slowing growth of coal, hydro and nuclear power, which outpaced a boost in oil-and-gas, the International Energy Agency said in its annual report out today. By the numbers: Combined investment in oil-and-gas and electricity supply declined 2% to $1.8 trillion, a figure that represents 1.9% of global GDP, IEA says. Why IEA is worried: The growth of energy efficiency investments slowed, and renewables investment fell by 7% and may drop more this year, per IEA. The report calls this slow-down in these low-carbon investments worrisome from a climate change standpoint because it's happening as investments in new nuclear generation are falling sharply, reaching their lowest levels in five years. Quoted: IEA executive director Fatih Birol called the efficiency and renewables trends a concern, in a statement with the report. “This could threaten the expansion of clean energy needed to meet energy security, climate and clean-air goals. While we would need this investment to go up rapidly, it is disappointing to find that it might be falling this year." Sign of the times: Investments in electricity nonetheless outpaced oil-and-gas supply for the second time, "reflecting the ongoing electrification of world’s economy and supported by robust investment in networks and renewable power," the agency said. However, the gap got narrower as oil-and-gas industry spending has rebounded somewhat from the sharp drops that followed the oil price collapse a few years ago. One interesting point: The 253-page report shows how major integrated oil companies — think the Exxons and Chevrons of the world — are increasingly investing in shale and tight oil, which are tapped via fracking. ICYMI: President Trump on Monday softened U.S. criticism toward Russia's planned Nord Stream 2 natural gas pipeline to Germany, signaling a public break with the years-long State Department position that the proposed project is a threat to European energy security. "Trump’s feeble response when asked about Nord Stream 2 demonstrates how the Administration’s rhetorical condemnation of the pipeline is all hat and no cattle." "Given Russia’s history of using energy as a weapon it was disappointing to hear President Trump takes Russia’s promise to protect Ukrainian transit at face value. ... Making this an issue of commercial competition is Putin’s talking point, I wish the President had not adopted it." Beyond the pipeline: Per CNBC, "Russian President Vladimir Putin suggested that Moscow and Washington could cooperate to soothe volatility in the oil market that has roiled the industry in recent years." Editor's note: This post has been updated to accurately provide Jason Bordoff's first name. Carbon taxes can be constructed in a way that substantially speeds greenhouse gas cuts without hamstringing the economy or regressive financial effects, according to joint research in four papers published today. Why it matters: The joint research via Columbia University's Center on Global Energy Policy is part of a wider trend — work by think tanks and other experts to provide ready analyses and policy designs if a political window opens in the future. Reality check: The papers come as the House is prepared to vote on a GOP-led, nonbinding resolution this week that says taxing CO2 would hurt the economy. It's expected to pass easily, signaling the massive political hurdles facing CO2 taxes. Money: Federal revenues would in the first decade would increase by $60 billion–$250 billion annually. Emissions: The mid-range proposal ($50-per-ton) would cut emissions by 39%–46% below 2005 levels by 2030, a much deeper cut than the U.S. commitment under the Paris agreement (which the Trump administration plans to abandon anyway). Fuel sources: The largest impact by far is in the power sector, greatly speeding up the shift away from coal and toward renewables, with a much lesser effect on oil's dominance in transportation. Costs: The proposals would boost energy prices to varying degrees. Under the $50 scenario, retail power costs would average 12.9 cents per kilowatt hour in 2030, compared to 10.6 cents absent the policy. Average gasoline prices would be 60 cents per gallon higher. Design: A series of options can mitigate the financial effects on consumers, including payroll tax cuts and rebate checks. State of the market: Oil prices may be softening due to increased production from Libya and elsewhere plus potential damage to global growth from the U.S.-China trade dispute, Reuters reports. Peak demand: The Center for Strategic and International Studies has a lucid new video explainer about projections for when global oil demand might peak and why projections for when this might happen vary so widely. Shale: U.S. oil production from shale formations is expected to rise another 143,000 barrels per day to reach 7.47 million barrels per day in August, the Energy Information Administration said in its latest monthly analysis. Good listen: Have you ever wanted to hear a State Department official talk Iran sanctions policy with the amazing Queen-David Bowie song "Under Pressure" in the background, followed by an informative interview with a Barclays analyst? If the answer is yes, this S&P Global Platts podcast that dropped yesterday has you covered. 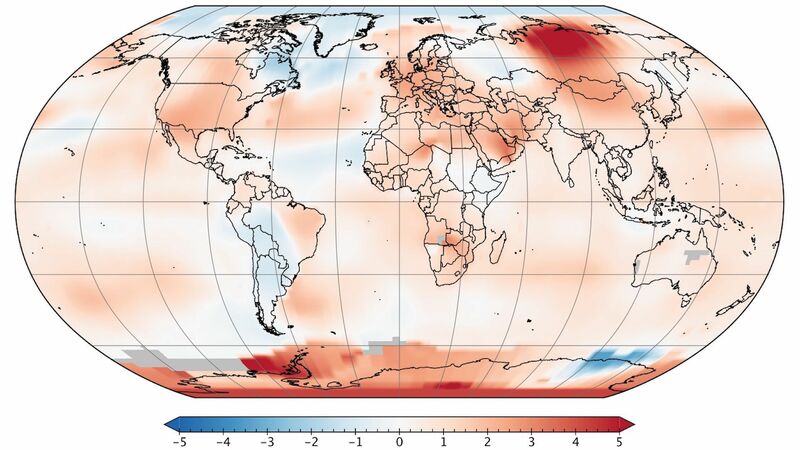 Axios' Andrew Freedman reports ... Earth had its third-warmest June on record this year, according to NASA data released on Monday. The month saw numerous heat milestones set worldwide, from the U.S. to the Middle East. What NASA found: According to NASA, the global average surface temperature was 0.77°C, or 1.4°F, above the 1951–1980 average, tying with June 1998 as the third-warmest June in 138 years of modern recordkeeping. Only June 2015 and 2016 were warmer. 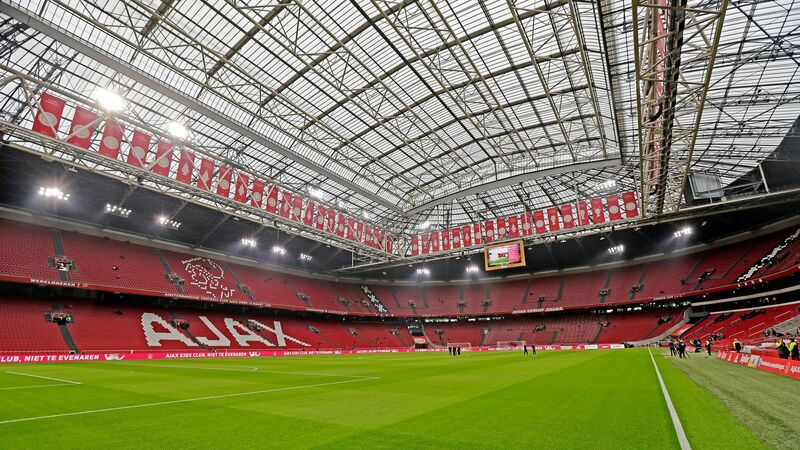 A piece in our Expert Voices section looks at an interesting energy storage project in Europe: the Johan Cruijff Arena in Amsterdam, home to the soccer team AFC Ajax. What they did: Comprising 250 used Nissan Leaf battery packs and 340 first-life battery modules, the system can provide up to one hour of full power to the stadium during an event, notes Maggie Teliska, who's a technical specialist at Caldwell Intellectual Property. How it works: Second-life batteries are batteries removed after a first life in electric vehicles. While no longer able to supply the power needed for transportation, these batteries still have adequate capacity for other energy storage solutions. Recycling these batteries remains economically unfavorable because of falling prices and low metal recovery, but they continue to find their way into new applications such as home power and mobile-charging units. Go deeper: Read Teliska's full piece here.